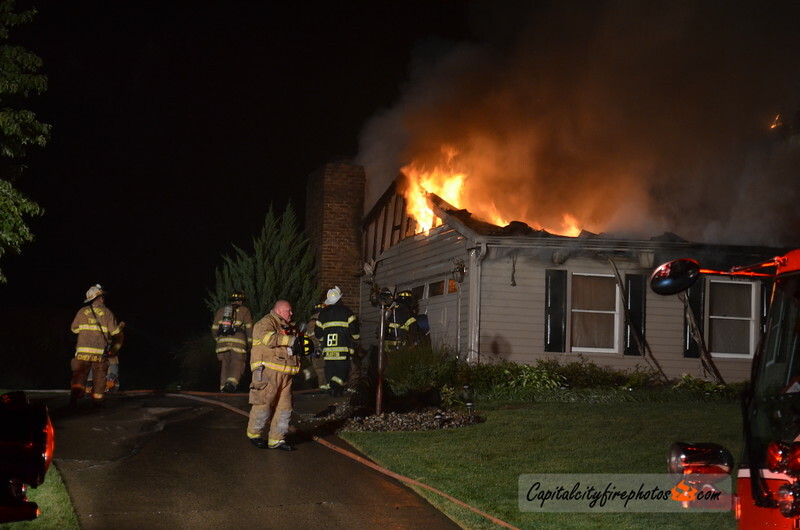 At 0120 hours Companies were dispatched to Farm House Lane and Homestead Lane for a house fire. Chief 68 on location with a well involved, 2 story, unoccupied, dwelling. The working fire dispatch was requested shortly followed by the second alarm. Companies went in service with a defensive posture.